Dating all the way back to the Iron Age, forging metal has long been an integral part of human history. The act of heating certain metals until they are pliable enough to manipulate has allowed for the development of tools and weapons, which in turn sparked innovation and advancement. Forging metal is hard, physical work and requires a lot of strength and effort to master. “It’s way more fun than the gym,” says Jessica Collins, who runs Goat n Hammer blacksmithing at the Goat Farm Arts Center in West Midtown alongside business partner Mark J. Hopper, a blacksmith of 25 years. The space is a veritable metalwork paradise, with anvils set up in a semicircle around the room. 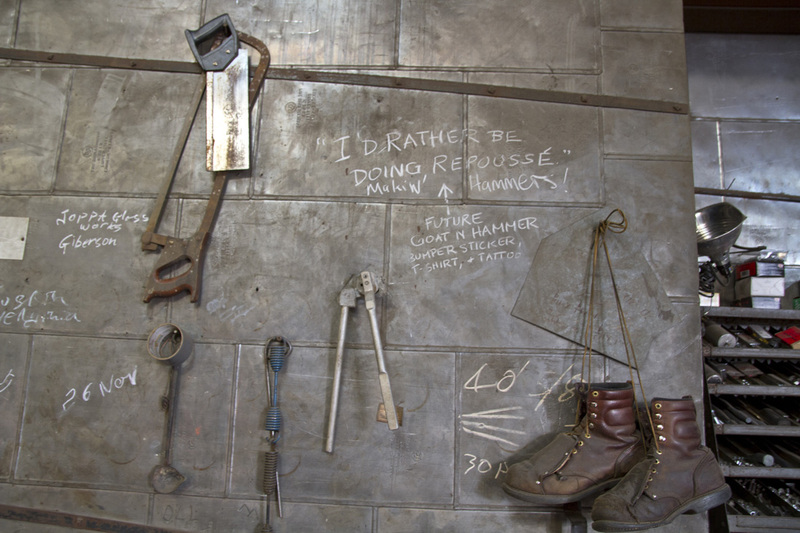 Quotes are scribbled on the walls alongside hanging tools and project sketches. A train occasionally rolls past on the tracks outside, the rumbling barely audible over the din of hammers hitting hot metal. Originally from Lidshendam, Holland, Hopper comes from a family of makers. His grandfather was a cabinet maker and painter, and he started making knives with his father when he was only 8 years old. After graduating from college, Hopper went on to work at a shop in Kent, England, before moving to Kenya, where he taught smithing for a few years. Hopper met and fell in love with his now wife Esther, a native Kenyan, and when she relocated to Atlanta to attend Kennesaw State University, he tagged along and opened his shop at the Goat Farm. It was four years ago that Hopper first approached Collins seeking help to implement classes during a Mass Collective event, of which she is a founding board member. Collins is a ceramic artist and also helps to run the Warhorse cafe at the Goat Farm. The two paired up and started offering classes. 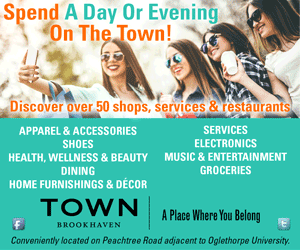 The new program was a hit, and it quickly grew in popularity. Collins also runs Machine Room Pottery, her personal pottery brand, out of the shop. She found striking similarities between working in both clay and metal, which she refers to as “plastic mediums.” “They move the same way,” she explains. Before long, and under Hopper’s tutelage, she became an amateur smith herself, and the two now act as TAs for one another in class and partners in business. Students have the opportunity to learn a wide variety of techniques that they then can incorporate into making products. There are introductory classes; 100- to 400-level Foundational Skills Series that aim to train smiths in the understanding of techniques, vocabulary and precision in material use through repetition; more advanced module classes; and open studio sessions, called Hammer Therapy, in which students can work on their own projects. 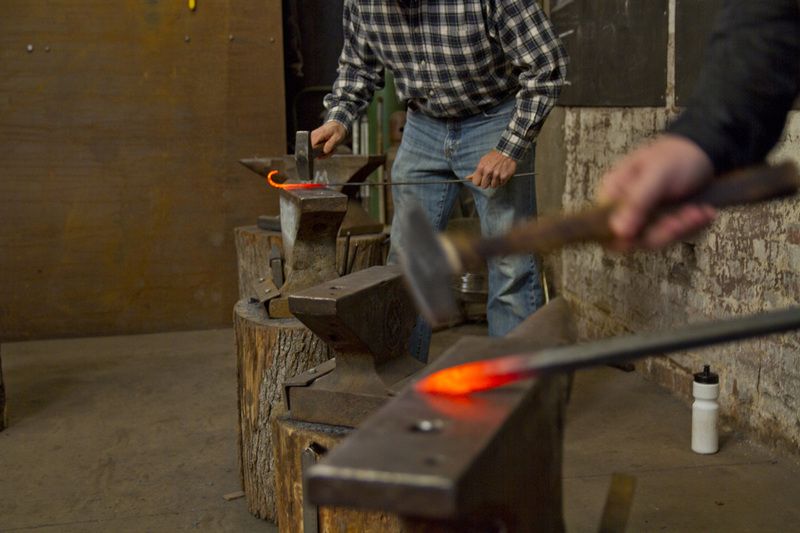 The classes are designed to “teach students the skills in a hands-on format,” says Hopper, and once they’ve got an understanding of the basics of blacksmithing, “they can pretty much make anything.” Skills students learn in their courses at Goat n Hammer can be translated into creating products like knives, blades, bottle openers and tongs.